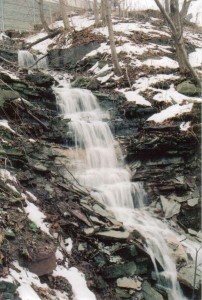 Erland Falls is considered a Washboard Ribbon Cascade. Its height is 15 metres (49 feet) and its width is 1.8 metres (6 feet). Its sources of water are the fields and road ditches on Ridge Road around the Erland Lee Museum. 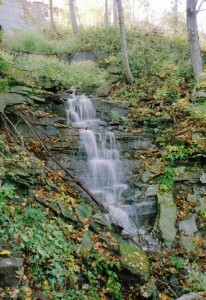 Erland Falls was first documented on the website of Mark Harris about 2002. 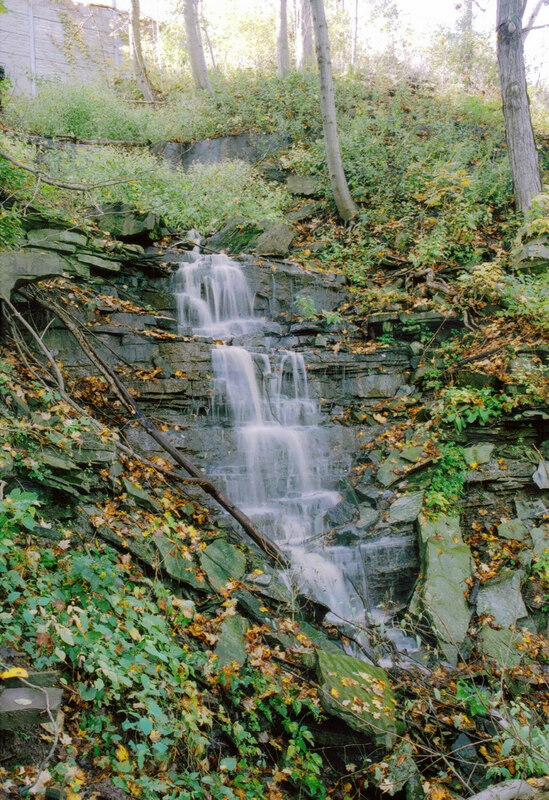 It is in the vicinity of the Erland Lee Museum, the former home of Mr. Erland Lee and his wife Janet, who was Hamilton’s first kindergarten teacher. The couple was instrumental in the founding of the Women’s Institutes organization in 1897. In all, six generations of the Lee family lived in the house, from 1808 until 1972. In that year, it opened as the Erland Lee (Museum) Home. 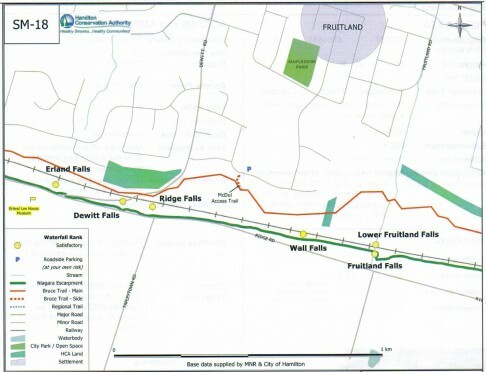 Park on Macdui Drive and take the Bruce Trail west about 750m and follow the creek south to the falls located on the south side of the railway tracks.